January 11, 2018 (San Diego) – A federal grand jury has subpoenaed documents from a local business as part of a criminal investigation into Congressman Duncan Hunter’s campaign finances, the San Diego Union-Tribune reported yesterday. The newspaper’s award-winning journalist Morgan Cook reports that the grand jury will hear evidence and testimony from a witness also ordered to appear in San Diego later this month. Potentially, the grand jury could issue one or more criminal indictments, casting a pall over Hunter’s effort to win a primary race in June and reelection to Congress in November. December 2, 2017 (Washington D.C.) – Yesterday, 53 members of Congress including all five San Diego-area representatives signed a letter sent to House Appropriations Committee leaders urging that $4.4 billion to aid California wildfire survivors be added to a disaster relief fund. The action comes after President Donald Trump previously ignored pleas from California legislators and Governor Jerry Brown, sending a measure to Congress that included funds for hurricane survivors in Texas and Florida, but not a penny to help those who lost homes, businesses or family members in the October California firestorms. August 9, 2017 (San Diego) -- “North Korea best not make any more threats to the United States," President Trump told reporters yesterday at the Bedminster, N.J. retreat where he is vacationing. "They will be met with fire and fury like the world has never seen.” (View AP video.) The remarks came in response to growing threats by North Korean leader Kim Jong-un. But Trump’s strong though inflammatory statement triggered a response by North Korea threatening to attack Guam, where U.S. has a military base, with “enveloping fire,” CBS reports. May 25, 2017 (San Diego) – San Diego Congressman Duncan Hunter, asked by capitol reporters what he thought about Montana Congressional Candidate Greg Gianforte bodyslamming a reporter, replied that is’ “not appropriate behavior” then clarified, “unless the reporter deserved it,” the Hill reports. Gianforte was charged with assault against a reporter from the Guardian last night who asked his views on a Congressional Budget Office report on the GOP healthcare bill. The violent assault was caught on tape by Guardian reporter Ben Jacobs. The attack was also witnessed by a Fox News crew, who confirmed that Gianforte “grabbed Jacobs by the neck with both hands and slammed him into the ground,” then began punching him. Three newspapers revoked their endorsements of Gianforte over the brutal incident, which broke the reporter’s glasses. On tape, Gianforte can be heard shouting at Jacobs to "get the hell out" after smashing him to the ground. April 8,2017 (San Diego) -- Senator Dianne Feinstein (D-Calif.) has introduced the Cluster Munitions Civilian Protection Act, a bill to restrict the use and export of dangerous cluster munitions. Congressman Darrell Issa (R-Vista) is cosponsor of a companion bill in the House. April 7, 2017 (San Diego) -- Reps. Darrell Issa, former Chairman of the House Committee on Oversight and Government Reform, and Elijah E. Cummings, Ranking Member of the House Committee on Oversight and Government Reform, have introduced the bipartisan, bicameral Fair Chance Act that would give formerly incarcerated Americans a fair chance at obtaining employment with the federal government. Senator Booker introduced a companion bill in the Senate. March 10, 2017 (San Diego’s East County) – Terry Francke, General Counsel for Californians Aware (CALAWARE), a nonprofit protecting citizens rights to open government, has informed East County Magazine that Congressmen Darrell Issa ‘s plan to ban citizens from videotaping his town hall meetings this Saturday is unconstitutional. By contast, Rep. Duncan Hunter, who also has a town hall this weekend in Ramona, will allow videotaping by constituents, ECM has confirmed. Both Issa and Hunter are Republicans. ISSA INTRODUCES REPLACEMENT PLAN FOR OBAMACARE: BUT IS IT A FIX, OR JUST A BANDAID APPROACH? February 22, 2017 (San Diego) — San Diego Republican Congressman Darrell Issa on Tuesday announced that he has released a “discussion draft” of his bill to repeal Obamacare and replace it with a new plan. Issa’s “The Access to Insurance for All Americans Act” would give all Americans access to buy in to same insurance plans provided to federal employees and their families—but not at the heavily discounted rates provided to federal workers. Read more about ISSA INTRODUCES REPLACEMENT PLAN FOR OBAMACARE: BUT IS IT A FIX, OR JUST A BANDAID APPROACH? January 27, 2017 (San Diego) — San Diego Congressmen Darrell Issa (CA-49) and Rob Wittman (VA-01) have introduced legislation aimed at easing the tax burden on military families by allowing them to establish one consistent state of residency. January 8, 2017 (San Diego) – San Diego Republicans Duncan Hunter and Darrell Issa joined with the House Majority in voting for a rules change would allow giveaway of federal lands to states, local governments, or tribes. Potentially, such giveaways could include national parks such as Yosemite or the Grand Canyon. It also encompasses all other public lands; here in San Diego these include Cleveland National Forest, federal recreation areas and national wildlife preserves. November 29, 2016 (San Diego) — The Consumer Review Freedom Act, a measure to protect freedom of speech in online consumer reviews, has been approved by both the House and Senate and now heads to President Barack Obama’s desk for signature. August 30, 2016 (San Diego) -- A new poll released Monday by the Doug Applegate campaign shows him to be in a statistical dead heat with eight-term Republican Rep. Darrell Issa in the 49th Congressional District. June 8,2016 (San Diego’s East County) – Incumbents beat challenges soundly in East County’s three Congressional Districts, but San Diego Congressman Darrell Issa could face an upset in November. With 100% of San Diego County’s precincts tallied, here are the results. Issa, a Republican, has 48.8% of the vote with all but provisional ballots counted. Democrat Doug Applegate has 47.86%, trailing Issa by less than 1% in San Diego County, while Ryan Wingo has 3.29%. The district also includes part of Orange County, where Issa fared better, leading Applegate 57.5% to38.6% but with far fewer voters. Adding both counties together, Issa has 51.2% ,Applegate 45.4% and Wingo 3.4%. Wingo is a nonpartisan candidate running on a platform of legalizing marijuana and opposing war. Wingo voters would be most likely to vote Democratic in a two-person run-off, meaning Issa could be in for a battle in November to hold onto his seat. May 21, 2016 (San Diego) -- On Thursday, seven Republican representatives in Congress, including San Diego Congressman Darrell Issa, switched their votes at the last minute, effectively killing an amendment to the National Defense Authorization Act that would have prevented government contractors from citing religious liberty as grounds for firing or harassing lesbian, gay, bisexual or transgender (LGTB) employees. January 20, 2016 (Washington D.C.)—On the heels of the poisoned drinking water crisis in Flint, Michigan caused by the state cutting corners to save costs and then covering up the consequences, President Barack Obama vetoed a measure passed by the Republican-controlled Congress that would have killed an Environmental Protection Agency clean water rule that allows the federal government to protect the nation’s waterways and keep them clean. San Diego’s Republican Congressmen Duncan Hunter and Darrell Issa voted for weakening clean water protections and shifting responsibility for many waterways back to the states, while Democrats Susan Davis, Scott Peters and Juan Vargas voted against. In Michigan, Republican Governor Rick Snyder’s administration ordered that the polluted Flint River be used for drinking water to save money and ignored federal law requiring an anti-corrosion additive that would have cost just $100 a day. That decision caused lead pipes to corrode, leeching lead into the public’s drinking water. For two years, families have been drinking contaminated water. Now children are suffering irreversible lead poisoning including brain damage. Also, 10 people have died of Legionnaire’s disease believed tied to tainted river water. September 20, 2015 (San Diego)—The House of Representatives voted Friday to defund Planned Parenthood. The measure is not expected to pass the Senate and President Barack Obama has said he will veto it. The vote was 241 to 187, with Republicans Duncan Hunter and Darrell Issa voting to end funding, while Democrats Susan Davis, Scott Peters and Juan Vargas voting to protect it. Now Republicans are threatening to shut down the government on September 30th if any Planned Parenthood funding for women’s health is included in the federal budget. June 14, 2015 (San Diego) – The Trans-Pacific Partnership (TPP) trade deal has stalled in the House of Representatives, after one of two measures needed for passage failed to win enough votes. Opposition came from both left and right, with even House Minority Leader Nancy Pelosi (D-San Francisco) joining with conservative Duncan Hunter in standing up against President Obama to help defeat the proposal. There were two bills—and both needed to pass in order for the TPP to move forward. But Speaker John Boehner has called for another vote early this week on the failed portion of the proposal. WILL THE POST OFFICE BE DISMANTLED? Miriam Raftery also contributed to this report. Click here to hear our radio interview with Tom Wood and Eddie B. Cooper Jr. with the American Postal Workers Union Local 197 in San Diego. January 9, 2015 (San Diego) – Many Americans are shocked to learn that effective January 5th, the U.S. Postal Service has stopped all overnight deliveries. Nationwide, 82 mail processing plants are closing, hours have been cut at Post Offices, and patrons are being steered toward competitors such as Staples, triggering a backlash in the form of a Staples boycott. It’s all part of an effort by conservatives in Congress to slow down, outsource and privatize postal services—a move that could ultimately lead to the demise of the Post Office completely. That could mean price hikes for stamps and delivery services, lay-offs for workers, inconveniences and new costs for businesses, as well as potential cuts in delivery for rural residents. That’s concerning for those reliant on mail deliveries of vital items such as prescription medications. Read more about WILL THE POST OFFICE BE DISMANTLED? November 23, 2014 (San Diego) – Families who no longer need to live in fear of separation or deportation have much to be thankful for following President Barack Obama’s immigration reforms announced last week. Locally, immigration activists are sharing their reactions, including Border Angels founder Enrique Morones, who was with President Obama during his historic executive action speech at Del Sol High School in Las Vegas. November 15, 2014 (San Diego)--The San Diego Congressional delegation followed party lines in the vote Friday to approve construction of the controversial Keystone XL Pipeline. November 5, 2014 (San Diego) -- Nationally, Republicans have won control of the Senate and increased their margin of dominnance in the House of Representatives. One of those gains appears to have occurred in San Diego's 52nd Congressional District. With all votes tallied except several thousand provisional ballots, former Councilman Carl DeMaio, a Republican, has just 752 votes more than Democratic incumbent Scott Peters, up by 50.26% to 49.74%. It is not yet known whether Peters will request a recount, which is his right under the law with such a narrow margin. In other local races, Republican Congressman Duncan Hunter captured 71.55% of the vote over challenger James Kimber, a physician assistant in the 50th Congressional District. In the 51st District, Democratic Congressman Juan Vargas scored a solid victory with 68% of the vote over his opponent, Stephen Meade. Two other races were somewhat closer. Congresswoman Susan Davis, a Democrat, fought off a challenge from ex-Navy Seal Larry Wilske, a Republican. Davis won with 57.88% of the vote in the 53rd District; Wilskie picked up 42.12%. Congresman Darrell Issa, a Republican who has drawn national media scrutiny as chair of the House Oversight Committee held his seat with 57.97% of the vote over Democratic challenger Dave Peiser, who receivecd 42.03%. April 9, 2014 (Washington D.C.) – As a slap in the face to women on Equal Pay Day today, Senate Republicans blocked passage of the Paycheck Fairness Act for women – for the third time. The measure failed due to lack of a single Republican vote. The bill had aimed to provide more effective remedies for women who are paid less than men for the same work. California's Senators, Barbara Boxer and Dianne Feinstein, both Democrats, support the bill. On the House side, San Diego Democratic Congresswoman Susan Davis is pushing for passage of a similar measure, H.R. 377. San Diego Democratic Congressman Scott Peters is a cosponsor of the bill, which local Democratic Congressman Juan Vargas also supports. East County Republican Congressman Duncan D. Hunter has previously voted no on a similar paycheck fairness measure for women, along with San Diego Republican Darrell Issa. 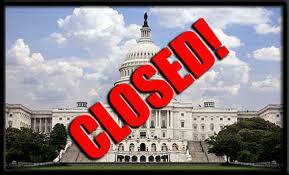 Update October 17, 2013: President Obama signed the measure into law last night, ending the shutdown. October 16, 2013 (San Diego)--Tonight both the House and the Senate voted to end the government shutdown and raise the debt ceiling—just in time to prevent the U.S. from defaulting on our national debt by tomorrow’s deadline. The measure will fund the Government until January 15 and raise the ceiling until February 17. Moreover, a conference committee between the House and the Senate to discuss the budget has finally been appointed. Among San Diego’s Congressional delegation, only Republican Duncan Hunter was unwilling to prevent a default on America’s debts, casting a “no” vote. Republican Darrell Issa joined with Democrats Susan Davis, Juan Vargas and Scott Peters to vote in favor of the continuing resolution to find the government and end the shutdown. Overall in the House, 285 voted yes and 144 voted no. The vote in the Senate was overwhelming, with 81 of 100 Senators voting for the bill, including most Republicans. California Senators Barbara Boxer and Dianne Feinstein both voted yes. October 5, 2013 (San Diego) –San Diego Congressman Issa (R-49) got a scolding from a federal judge after he asked to have a lawsuit that he filed be heard despite a federal shutdown. Judge Amy Berman Jackson denied Issa’s request, noting that “while the vast majority of litigants who now must endure a delay in the progress of their matters do so due to circumstances beyond their control, that cannot be said of the House of Representatives, which has played a role in the shutdown.” Issa voted for a controversial spending bill passed by House Republicans that sought to defund the Affordable Care Act, prompting the shutdown after the Democrat-controlled Senate refused to approve the measure. October 5, 2013 (Washington D.C.) -- By a unanimous vote, the House of Representatives approved back pay to all furloughed federal workers for the full duration of the federal shutdown. The Federal Employee Retroactive Pay Fairness Act (H.R. 3223), was approved by the House of Representatives 407-0 during a rare Saturday session. September 4, 2013 (San Diego’s East County) – Three days ago, NBC news reported that San Diego’s Congressional delegation had “mostly positive” reactions to news that President Obama had decided to ask Congresss for approval before waging a military air strike on Syria. But a poll by CNN of Congressional members found San Diego’s representatives remain mostly undecided on whether to vote for war or not. Both California Senators, however, support the President’s call for military action. Overall, the CNN poll found the majority in both houses of Congress have not yet committed how they will vote. In the Senate, 24 Senators say that they will support the war declaration, 16 will oppose it, and 58 remain undecided. In the House, 27 support going to war, 91 oppose, 254 are undecided, and the positions of 61 others are unknown. This is a rare issue in which the vote does not split down party lines. Both parties are split, with many members on each side of the weighty issue appearing ready to vote their consciences or the will of their constituents, not a party preference.